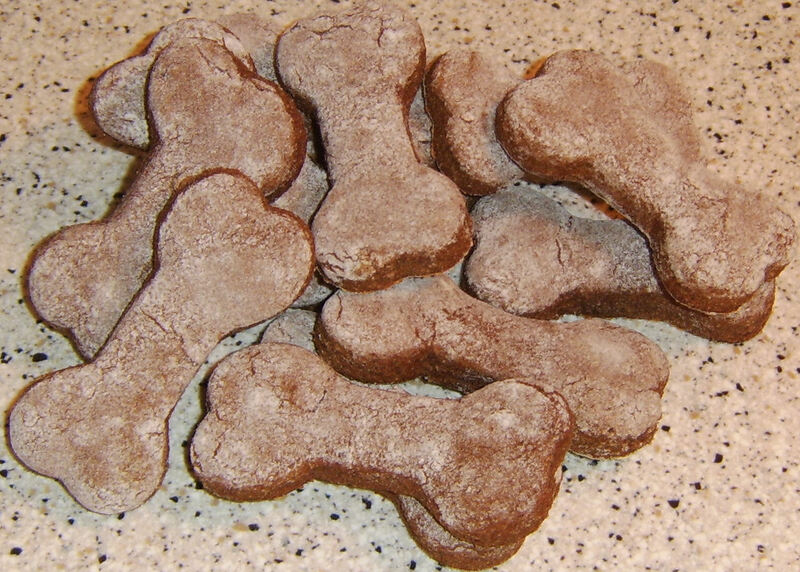 Recipe: Buttermilk Bones, Times Three | YesBiscuit! Mix together the dry ingredients. Stir the wet ingredients to mix and combine with the dry ingredients. Mix thoroughly to form a dough. Roll out on a floured surface. Cut into desired shapes. Bake on a greased cookie sheet at 350 degrees F for 25 minutes. Using an electric mixer, beat the peanut butter and buttermilk until smooth. Mix together the dry ingredients, add the wet ingredients, and mix thoroughly to form a dough. Shape dough into a log on waxed paper, wrap and refrigerate overnight. Cut the log into desired sized slices with a knife. Bake on a greased cookie sheet at 350 degrees F for 25 minutes, flipping treats halfway through. They sound good enough for humans to eat!!! Thanks for such easy recipes! We don’t have air conditioning (just small, anemic window units in 2 rooms) so no oven baking until autumn, but my dogs will love these! 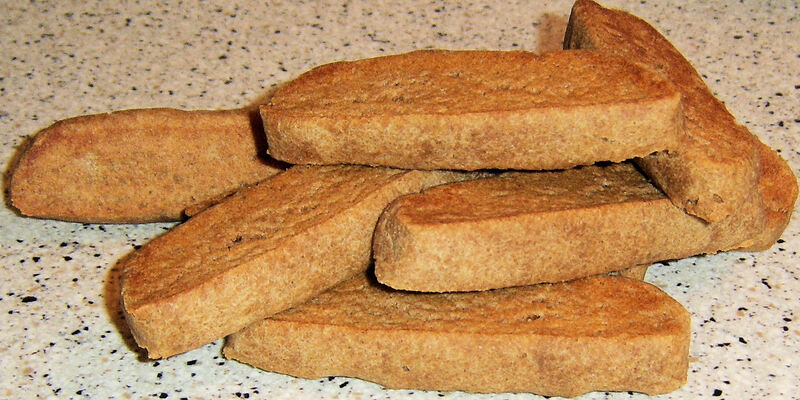 If your dogs don’t do wheat, this is an alternative recipe I have used for years. I ended up with a vegan variety thanks to Pickles, Nathan’s dog.